Welcome to the 3 Twenty Crafts 2nd Release Blog Hop! This week we have a ton of inspiration to share with you, lots of amazing projects showcasing the new stamp releases and some giveaways too! You will be so amazed with this new release and I am excited to share the first stamp set with you today! So are you ready to get started? You should have arrived here from Brenda's blog but if you would like to start at the beginning of the hop, simply go to Jo's Scrap Shack. Today we are showing you the new and awesome stamp set Simple Sentiments. Well that is my project and I am glad you stopped by today. Your next stop on the hop is Joyce so have a great time as my Design Team sisters have really created up some gorgeous projects that will surely inspire you!! so don't miss out on your chances, make sure you complete the hop and leave some comment love! Stop back tomorrow for another fun-filled day full of inspiration, blog-hopping and a look at another awesome new stamp set from 3 Twenty Crafts! This is adorable!! The cupcake is so cute!! Love that face!! This is such a sweet and cute card !!! I can only imagine the rest of the cute projects you have created !! Hope you have a wonderful day !! Love it endless possibilities can't wait to try them. Very cute card and use of the stamp set love it, awesome cupcake. OMG, how cute, love your card and those eyes are just amazing, gr8t job! Super cute card Candice, that cupcake is just too cute! Hugs! 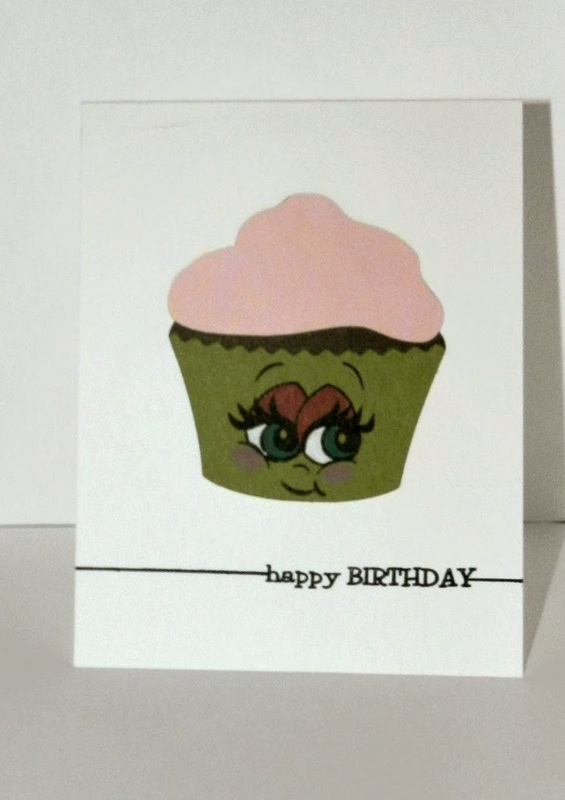 What a fun cupcake card! Great stamp line. Love how it distinguishes the space. Absolutely adorable! That cupcake is precious! Like the stamped line on the sides of the sentiment. This is just ADORABLE! Such a cute, cute cupcake and I love how the sentiment stamp just dominates the nice white space underneath the focal image. Great job!